1. Grate the onion, but discard the liquid that comes out of it. 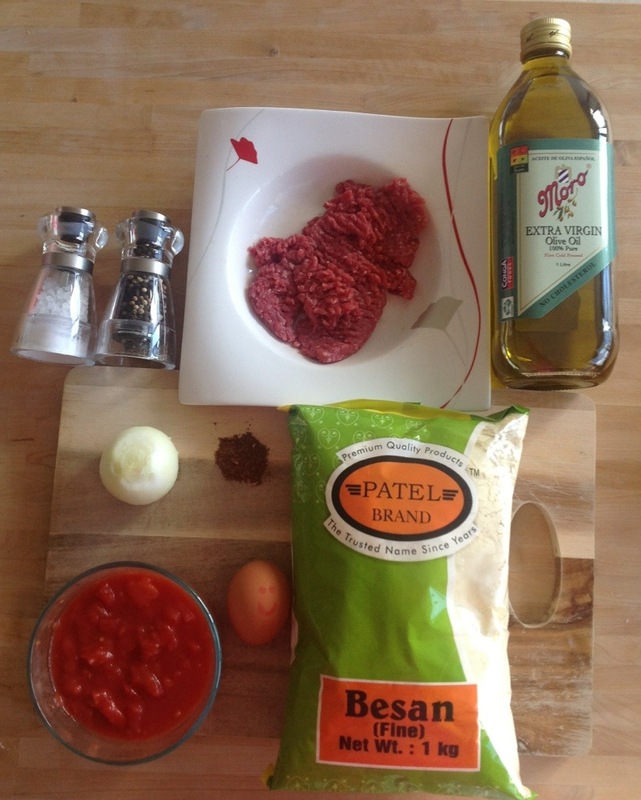 2.Place the minced beef in a large bowl. 3.Add the onion, egg, flour, and seasoning and mix well. The mixture will be quite sticky, and it will not resemble an elastic dough. This is totally fine. 4.Heat olive oil in a large frying pan on medium heat. 5.Fill a small bowl with water. You use this to wet your hands when making the patties. The mixture is quite sticky as I said, and wetting your hands makes it a lot easier to handle the mixture. 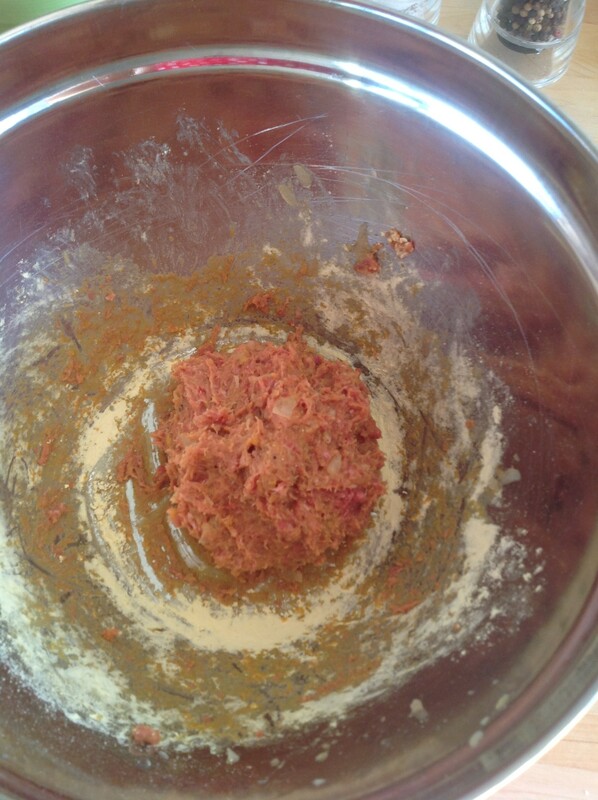 6.Place the bowl of water and bowl of patty mixture near your stove. 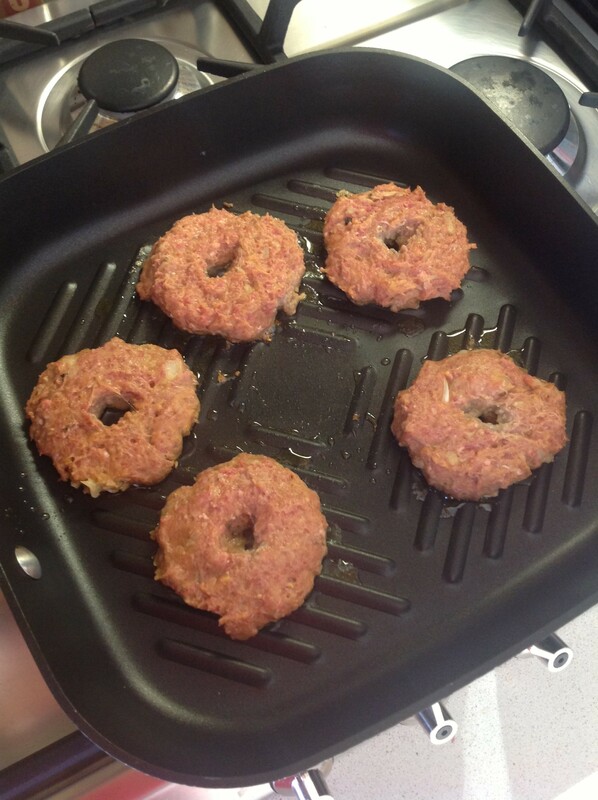 – Take 3 tablespoons of mixture and form a flat circular patty with a hole in middle. -Place on the hot oiled frying pan. 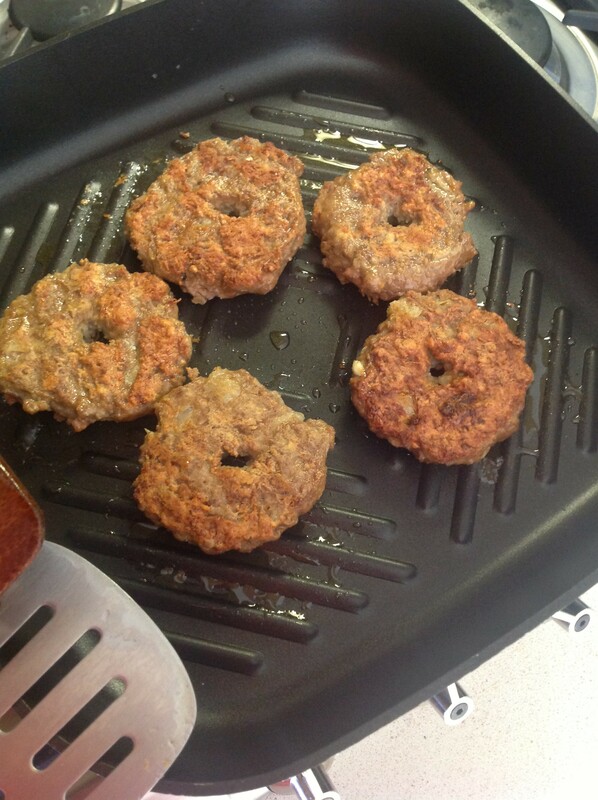 8-You know each patty is done when the edges are browned. (For your first time, after 2-3 minutes you can carefully lift the patty off the pan to see how well it’s fried underneath). Once this happens, flip and let the other side fry. 9-Once finished transfer the patties to a separate pan (See Note 2 below). 10-Add the passata or diced tomato with a tiny bit of salt and pepper. 11-Move the patties around slightly so they are covered with the sauce. 12-Simmer them on low heat until the sauce thickens a bit. 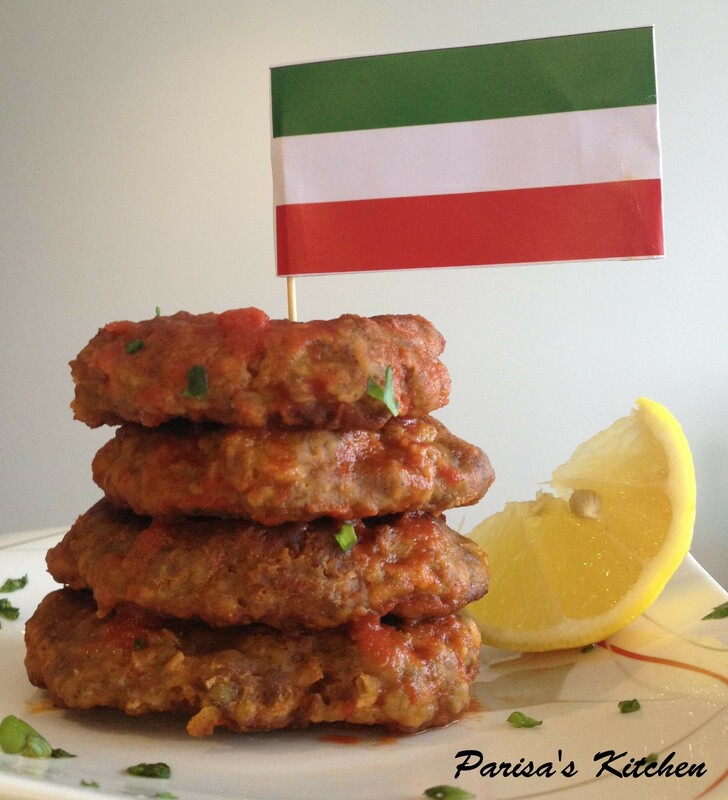 Do not leave it too long or the patties will stick to the pan and become dry. 13-Transfer them to serving dishes.of you want to use them as sandwich filling and not with rice or salad, store the sauce separately. Note 2: After frying the patties, they will be slightly dry. 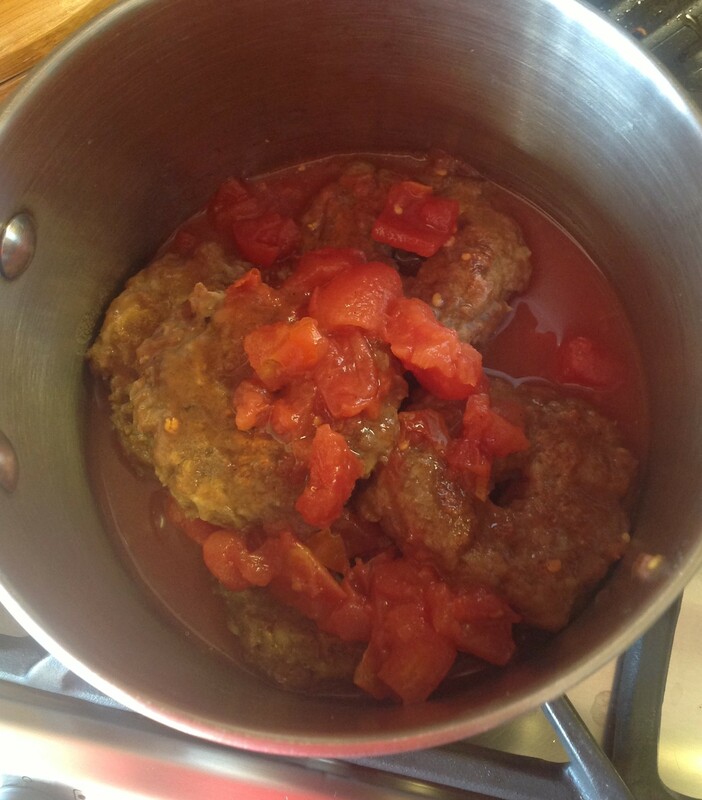 But, once you simmer them in the tomato sauce, they will become soft and even more delicious! 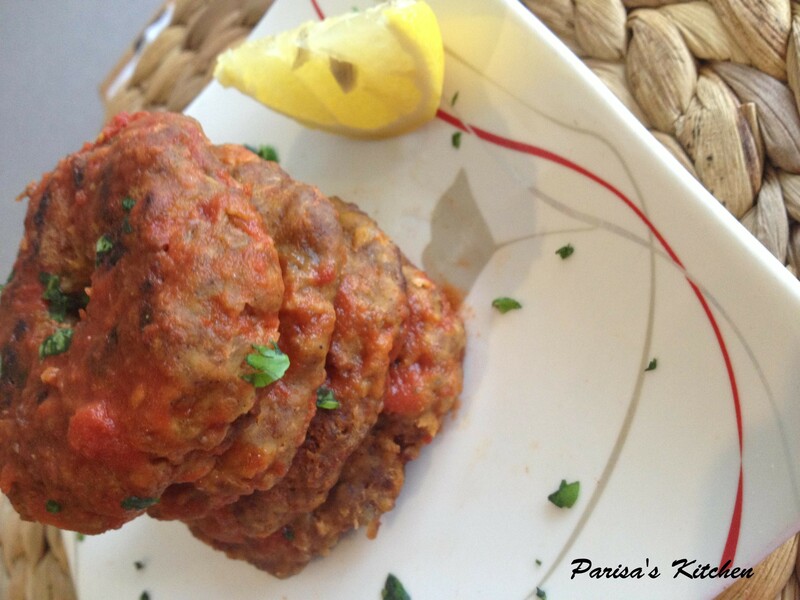 Posted in Patties, PersianTagged arde nokhodchi, besan, chickpea, chickpea flour, Chickpea meat patties, Gram Flour, patties, shami, shami arde nokhodchiBookmark the permalink. Woooo well done. You are so good in traditional cuisine. I am sure it is so delicious. You can decorate it with some salted cucumber and serve it as a sandwiche for lunch as well. 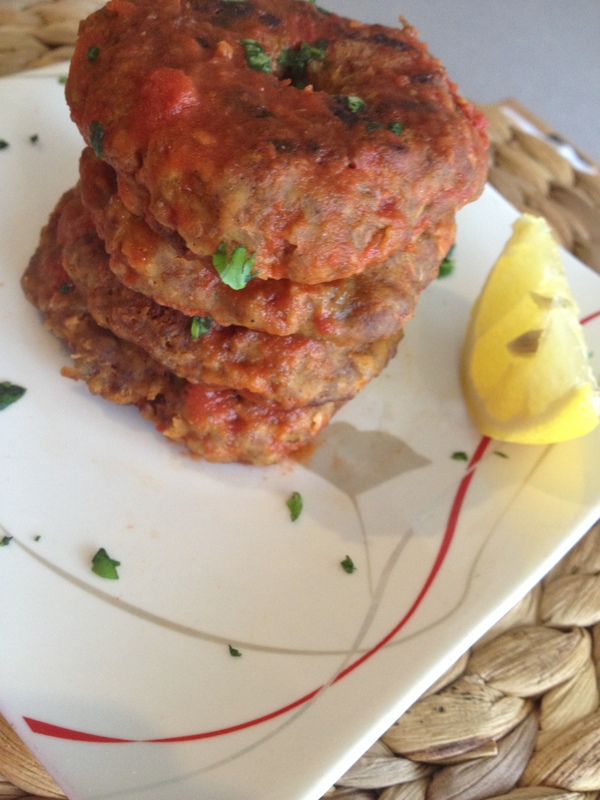 Chickpea meat patties. How interesting. they must taste really nice. This just makes my try-me-list longer and longer but never mind. That’s why we are blogging. Best wishes! I never cared for chickpea patties because they are so dry but I like the last step in your recipe where you cook them in tomato sauce making them moist. I also like the addition of advieh. 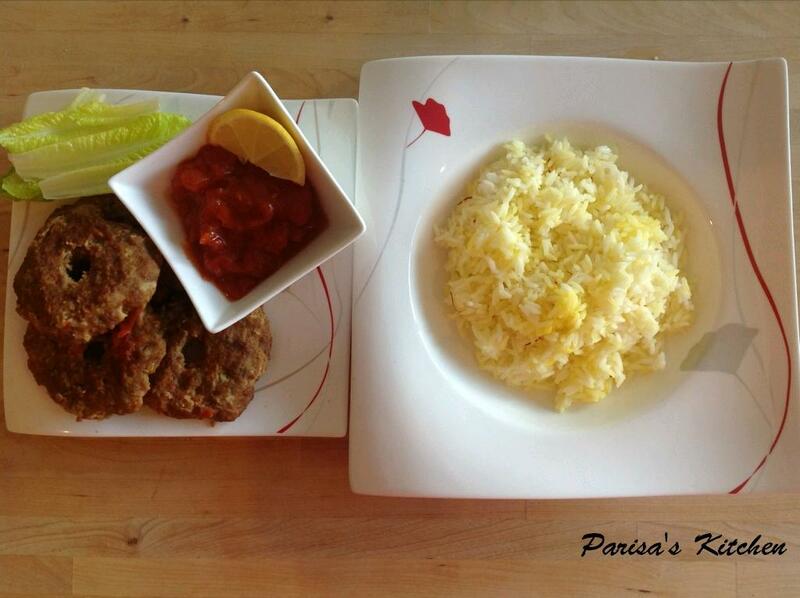 Great recipe thank you :).